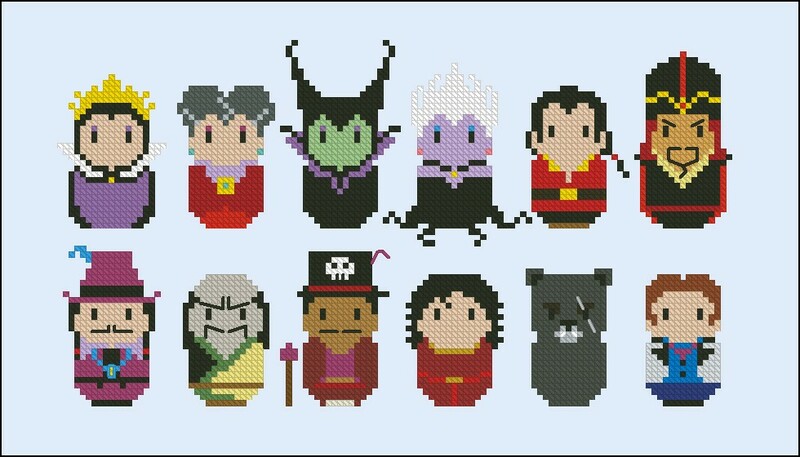 Brrr... Disney Villains! Evil in the heart! 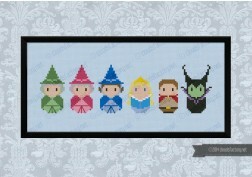 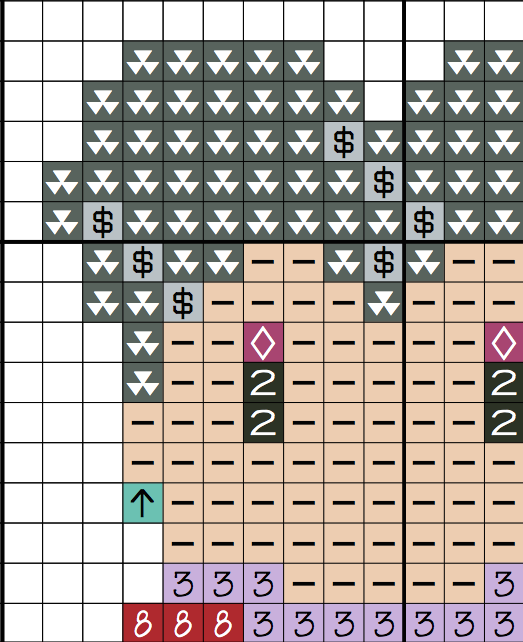 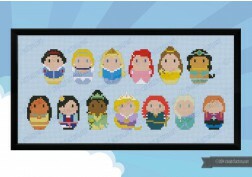 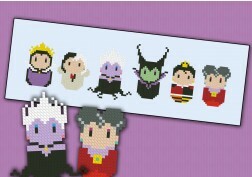 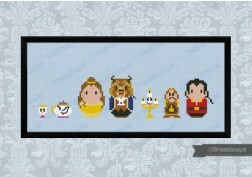 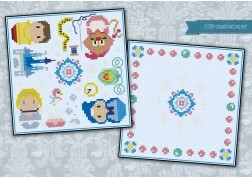 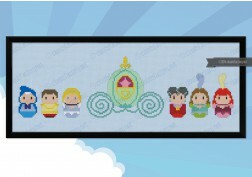 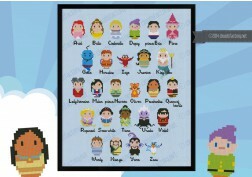 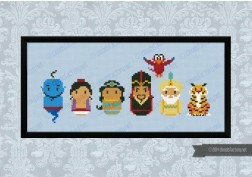 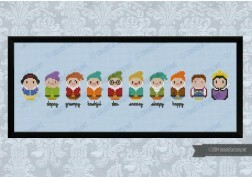 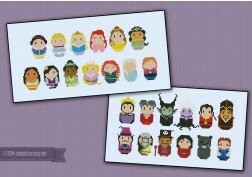 This pattern includes all the Disney Princess Villains in chronological order and matches with the Disney Princesses pattern! 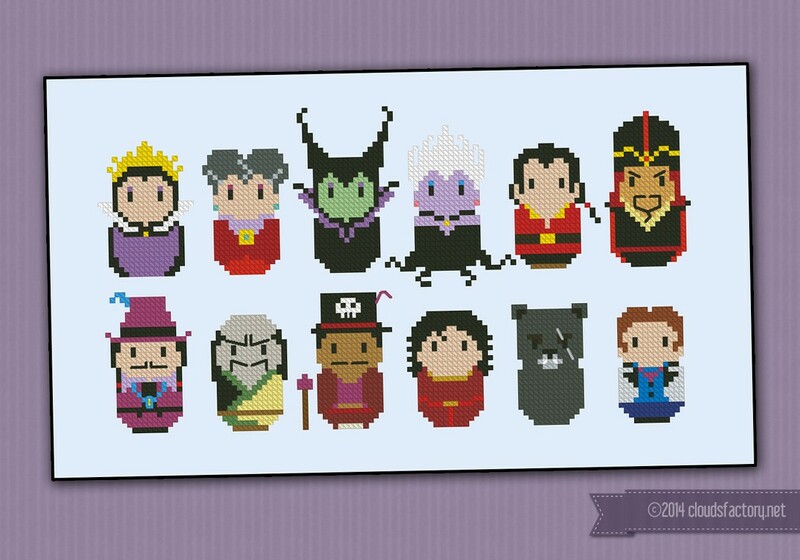 Featuring: Queen Grimhilde (Snow White), Lady Tremaine (Cinderella), Maleficent (Sleeping Beauty), Ursula (The Little Mermaid), Gaston (Beauty and the Beast), Jafar (Aladdin), Ratcliffe (Pocahontas), Shan Yu (Mulan), Dr. Facilier (The Princess and the Frog), Mother Gothel (Tangled), Mor'du (Brave) and Hans (Frozen).